Mickelson Trail The Mickelson trail is the first rail-to-trail project in South Dakota, taking advantage of an old railroad line to create a scenic trail for cyclists. 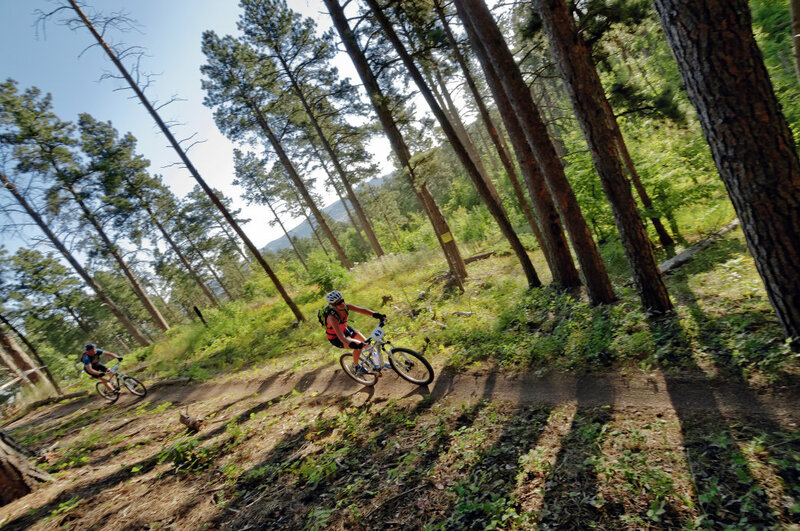 With just about 6,000 miles of fire trails, logging roads, and abandoned railroad grades weaving through the Black Hills alone, it’s no surprise that mountain biking is quickly growing to be one of the most popular activities in the South Dakota. There is truly something for every level of biker here, with perfect trails for everyone from a complete newbie to an experienced daredevil looking for jumps and technical singletrack. 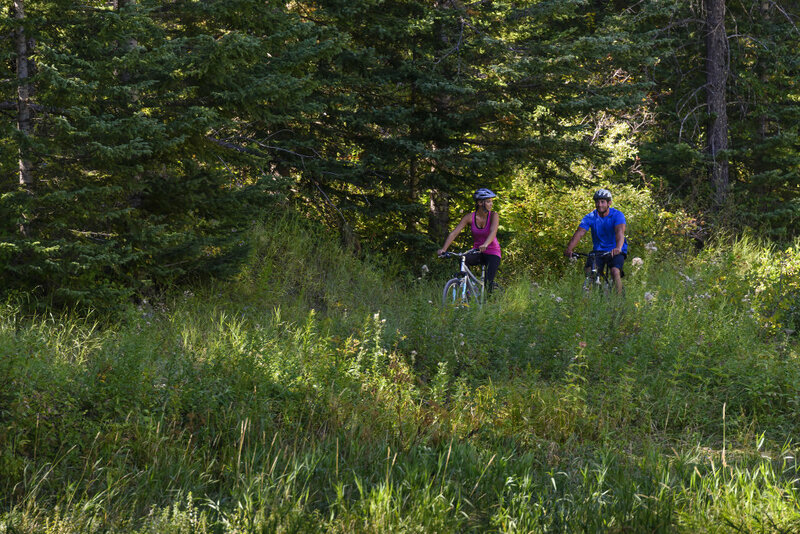 If you happen to be traveling without your bike, don’t worry—there are plenty of bike rentals shops near the more popular trails, and even guided mountain biking tours. Ready to ride, but not sure where to go first? 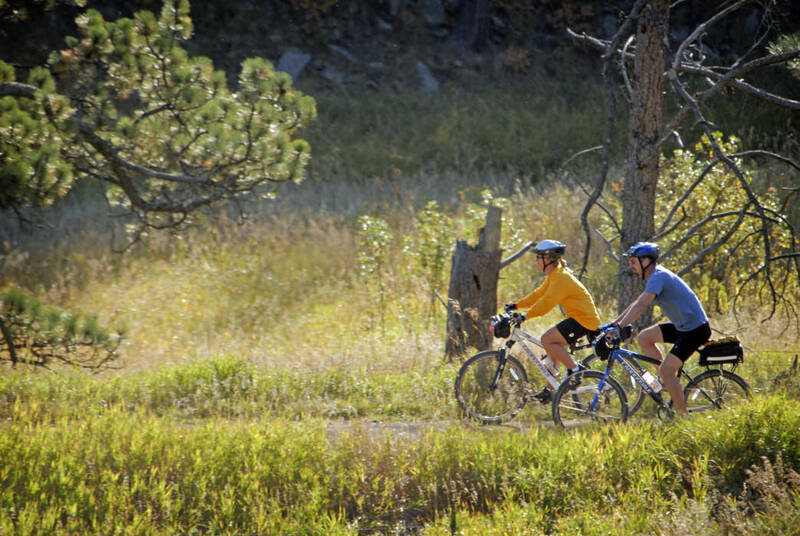 Here are some of the best mountain biking trails South Dakota has to offer. 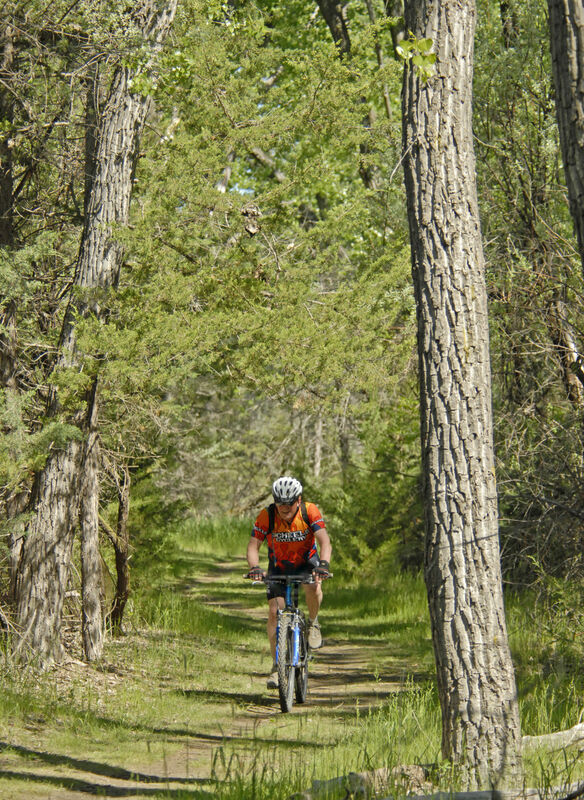 This 111-mile trail is going to be on any list of the best mountain biking destinations in South Dakota. Built in 1989 to commemorate the 100th anniversary of South Dakota’s statehood, it starts near Bear Butte State Park and ends in Wind Cave National Park. 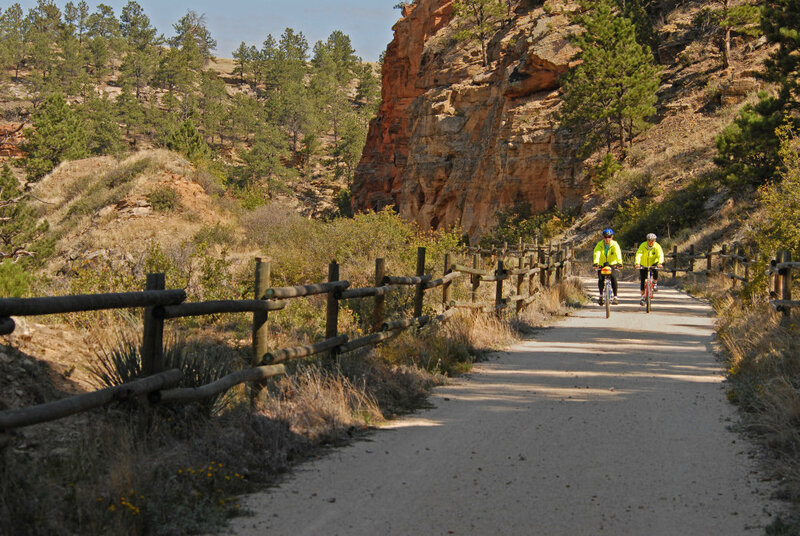 This trail has it all, from prairie grasslands to climbing into the Black Hills and the high country, with more than 2,000 feet of elevation change along the way. The trail has stream crossings, technical singletrack, and both rolling hills and steep climbing sections. Several trailheads make it easy to access the Centennial Trail, too, so it’s possible to ride just a small section and still get in a great workout. The George S. Mickelson Trail is another long one, at 109 miles, but much easier than the Centennial. 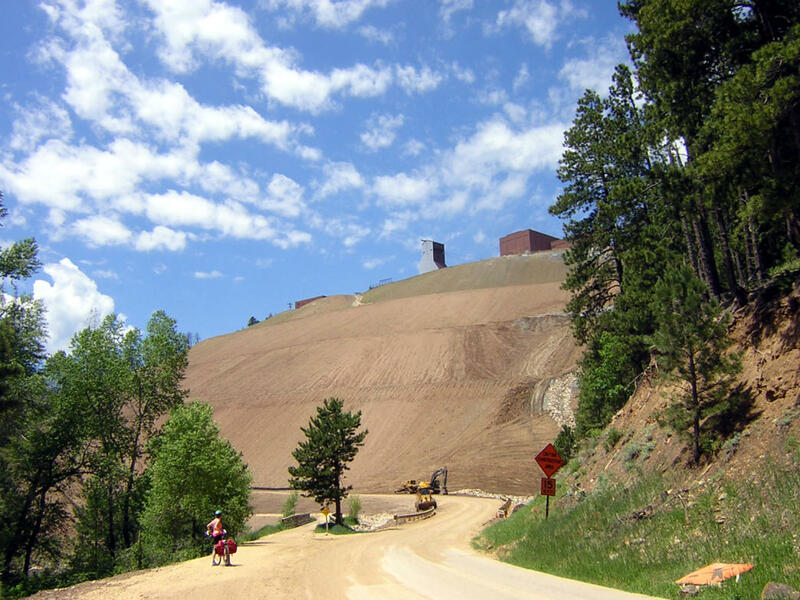 It’s the first rail-to-trail project in South Dakota, featuring a crushed gravel and limestone trail along the old Deadwood to Edgemont Burlington Northern rail line over converted railroad bridges and through hard-rock tunnels. The steepest sections are from Dumont to Deadwood, but most of the trail is less than a 4 percent grade. There are 14 trailheads, so it’s easy to jump on and ride a shorter section, or for a bigger challenge, ride the whole thing. Just a 30-minute drive from Mt. Rushmore, Storm Mountain Trail is considered one of the best trails in the Black Hills National Forest by both hikers and mountain bikers. The challenging, 11.6-mile out-and-back singletrack trail winds up tight switchbacks through the pine forest, then cruises back down the same path. It’s well-marked and maintained by a local organization, and there are a couple scenic overlooks along the way that are perfect for taking a break. There are 19.5 miles of trails throughout the Alkali Creek trail network, and many riders recommend going from Alkali toward Fort Meade Recreation Area, which will result in more downhill riding than leg-burning uphill. The whole network is comprised of smaller trails, ranging from quarter-mile connectors to almost four miles. The local favorites include the Grind, an aptly named 1.26-mile grind up a steep and rutted trail, and the Bulldog. 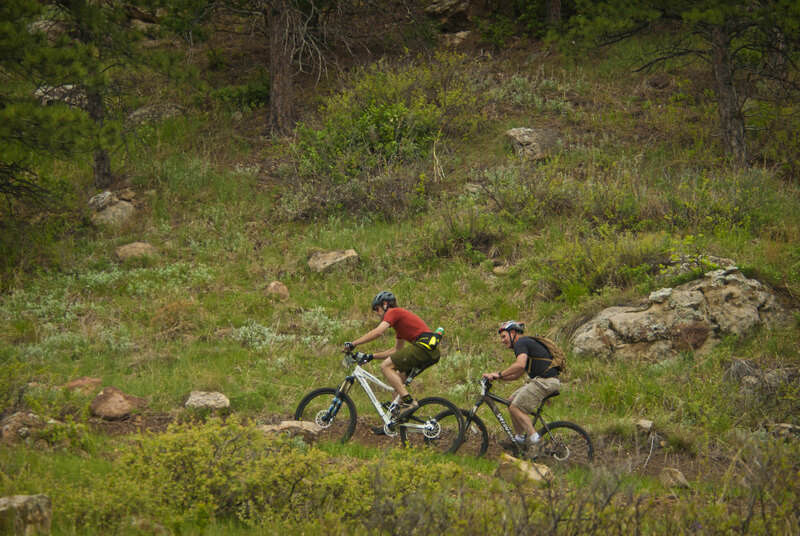 Bulldog is one of the most popular rides in the Black Hills, and is a fast, technical section of singletrack. Riders usually take it as an out-and-back from the Alkali Creek trailhead, and it comes in just under four miles at 3.78. Despite the intimidating name, the Bone Collector is actually a great trail for any level mountain biker, with opportunities for beginner riders to practice some more technical skills. It’s a short ride, at 1.7 miles, but has drops, logs, and steep, rocky sections. Smaller features and ride-arounds make the trail accessible for less-experienced riders as well. A local favorite, this ride is often added onto the 15-mile, Victoria Lake Loop, but at 9.3 miles, it is a great workout itself. Considered best for intermediate to advanced mountain bikers, the Lollipop gets right to it with a steep climb up through a pine forest. There are some technical sections along the way, but your hard work is rewarded with getting to go down the “Big Climb” on the way back. About four miles in, there is the option of taking the Extra Credit Connector to meet up with the larger Victoria Lake Loop, or continue around to go back the way you came. While LaFramboise Island isn’t in the more adventurous Black Hills, it’s worth putting on the list because it is beginner and family-friendly. On the island, which sits in the Missouri River near Pierre, you'll find seven to 10 miles of flat single- and doubletrack trails, and the terrain ranges from packed soil to looser sand. LaFramboise Island is covered with tall cottonwood trees and meadows, so keep an eye out for birds (bald eagles have been spotted here), deer, and wild turkeys.